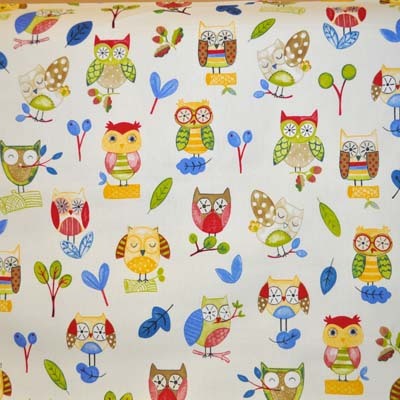 Ollie owl animal fabric in paintbox. Small size owls in primary colours, red, blue, yellow, green on an ivory colour background. 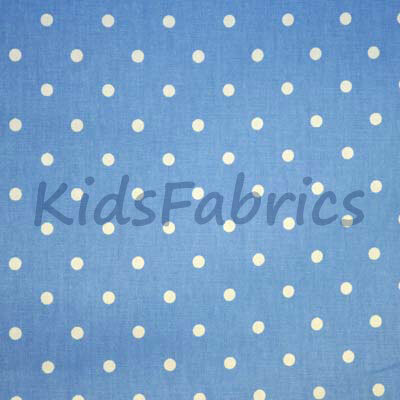 Suitable nursery furnishing fabric for curtains, blinds, cushions, bed throws and general furnishing items.